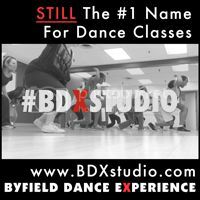 Shawn Byfield, owner of Toronto’s BDX studio chats with good friend Everett Smith. If you didn’t know, Everett is a Canadian success story: Tap Dogs, Canada’s Olympic tap dance team, director of Tap Dance Centre in Mississauga and top 4 finalist on season 2 of So You Think You Can Dance Canada. Watch the video to learn about Everett’s humble beginnings and his view on Canadian dance.